On this first day of meteorological summer (June 1), mother nature seems poised to produce the hottest day of the year thus far on Friday. Here's the forecast high for the various weathercasters in the Twin Cities as of 7 p.m. on Wednesday. 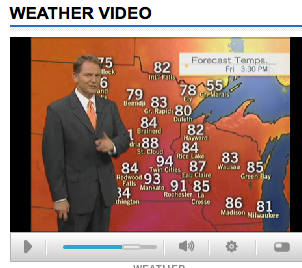 *On the 6 p.m. forecast, WCCO's Chris Shaffer chose to show the forecast temperatures estimated by "one of the models." The model, presumably the one that showed the hottest temperatures, depicted a temperature of 94 for the Twin Cities, but, Shaffer added, "I don't think it'll get that warm." Our question is simply this: Why show a model with a temperature that's a full five degrees greater than what you are forecasting? WCCO has done a similar thing with snowfall forecasts in the winter. It seemed irresponsible then and it seems irresponsible now. 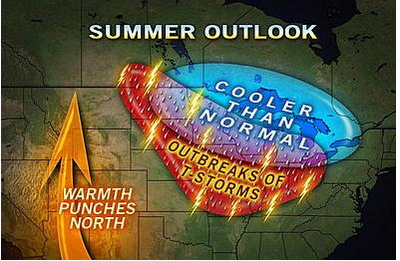 Chris Shaffer provides a visual of one model's forecast high temperatures. 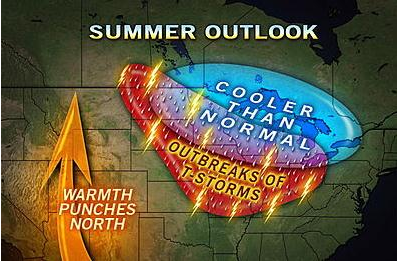 Sometimes I think people overestimate a "cooler then normal" summer forecast. There will still be hot days. Maybe instead of the average 13 days of 90+ there might be 10. If the summer is two degrees cooler then average, thats quite big from a climatological point.